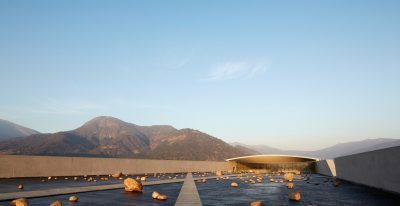 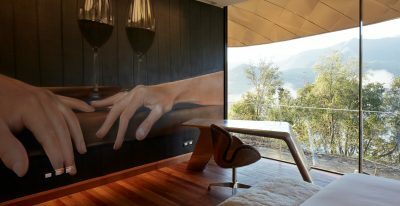 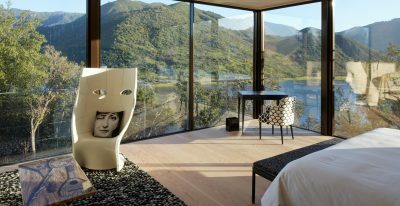 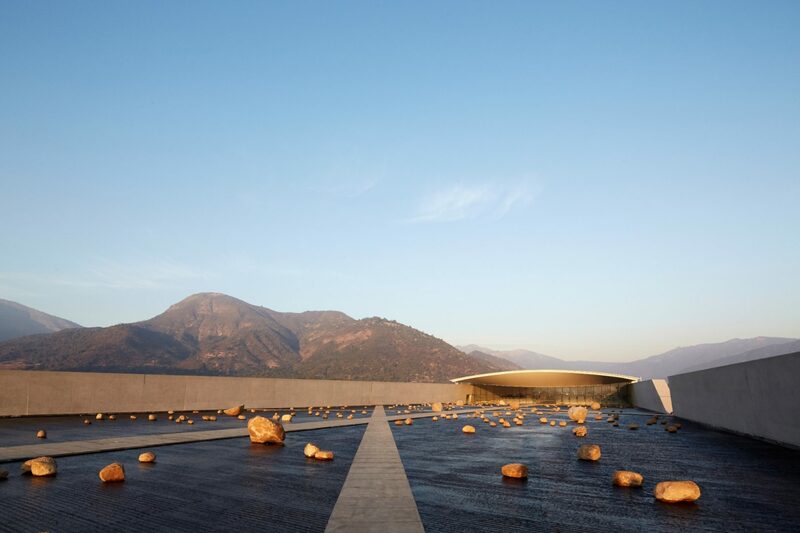 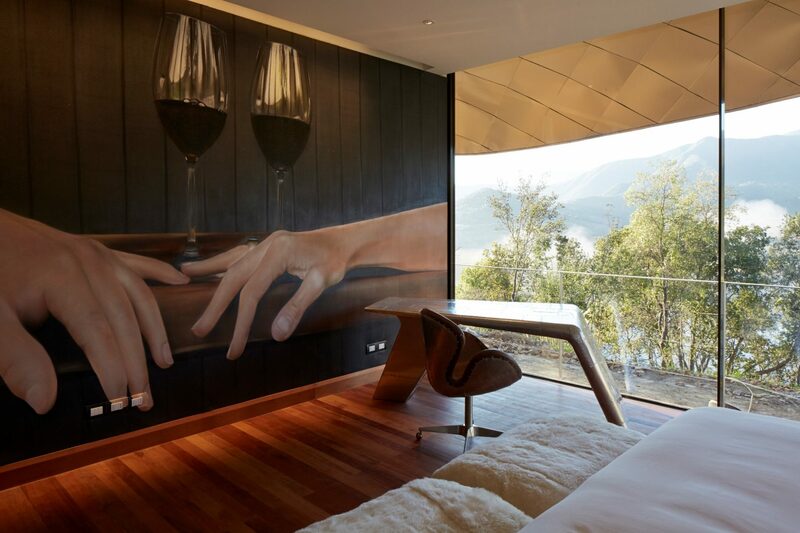 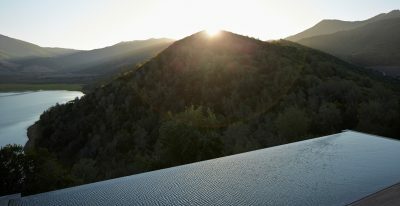 Viña Vik is a 22-suite hotel and spa located in the VIK vineyard of Millahue, Chile. 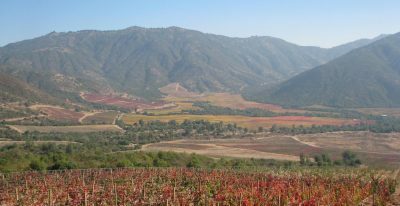 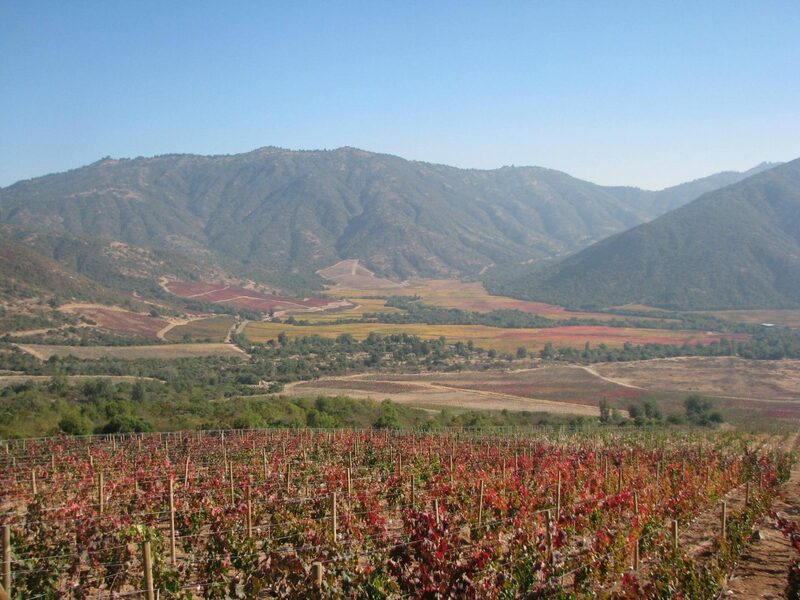 The hotel is situated on a hill with panoramic views of the 11,000-acre vineyard, with the majestic Andes Mountains in the distance. 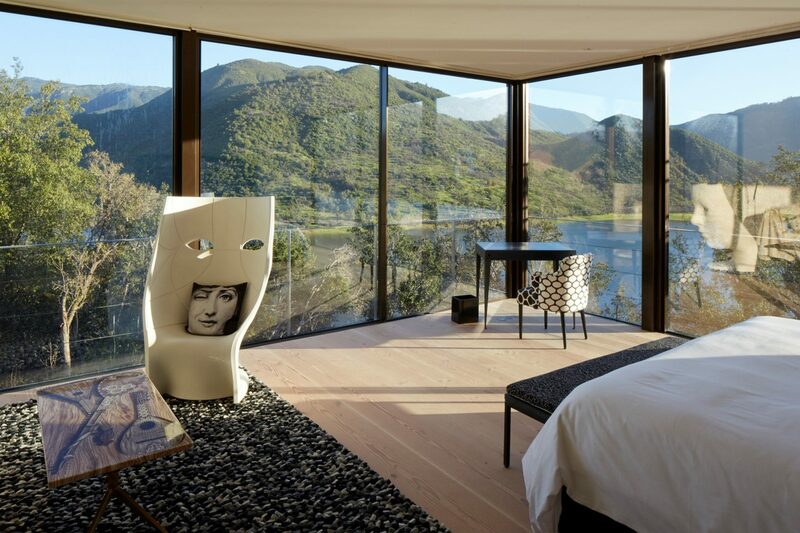 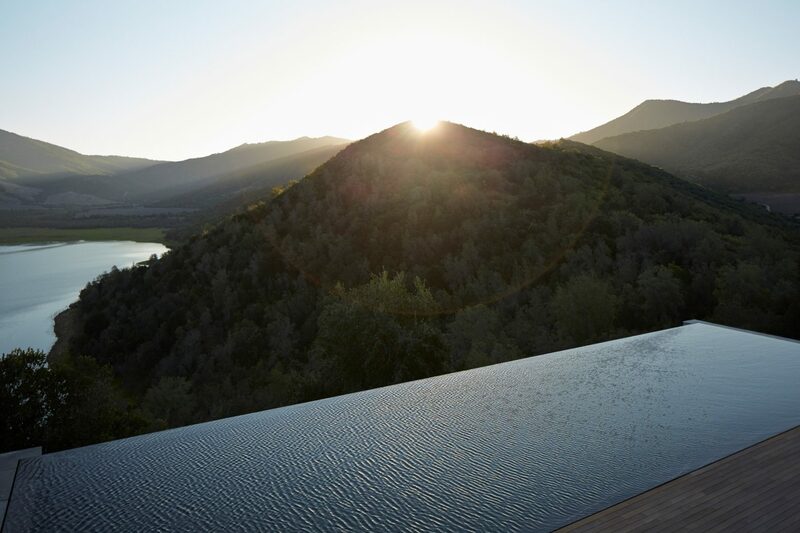 Every suite has floor-to-ceiling windows, and a cantilevered granite infinity pool offers views of the valleys and lake below. 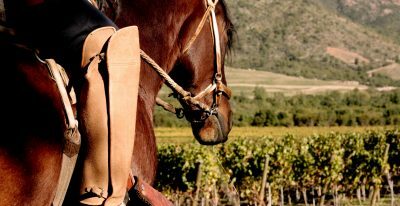 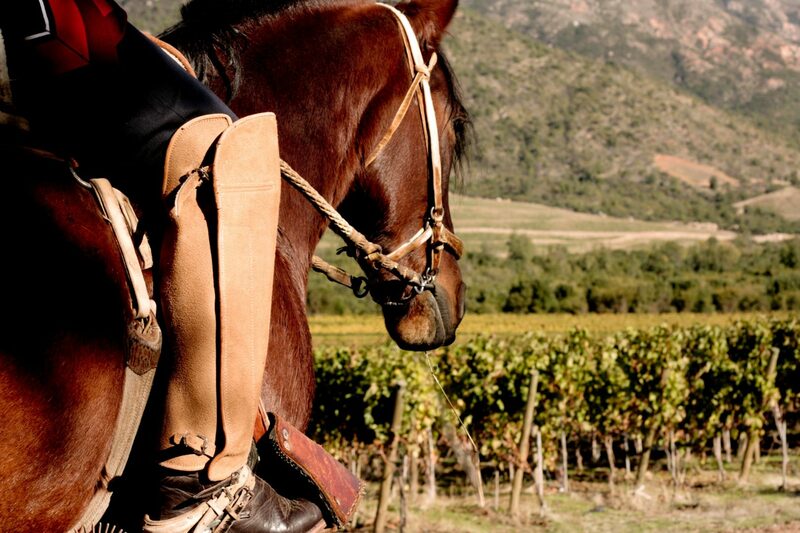 On-site activities include private wine tastings and guided winery tours, horseback and mountain biking excursions through the vineyard and surrounding mountains, or treatments in the wine spa. 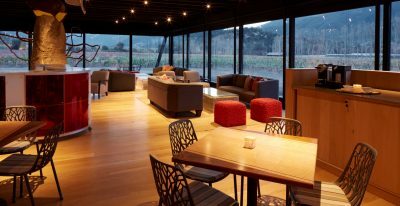 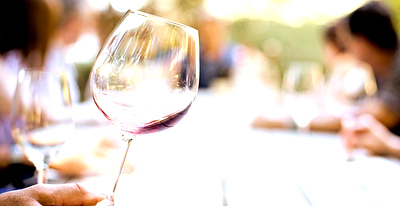 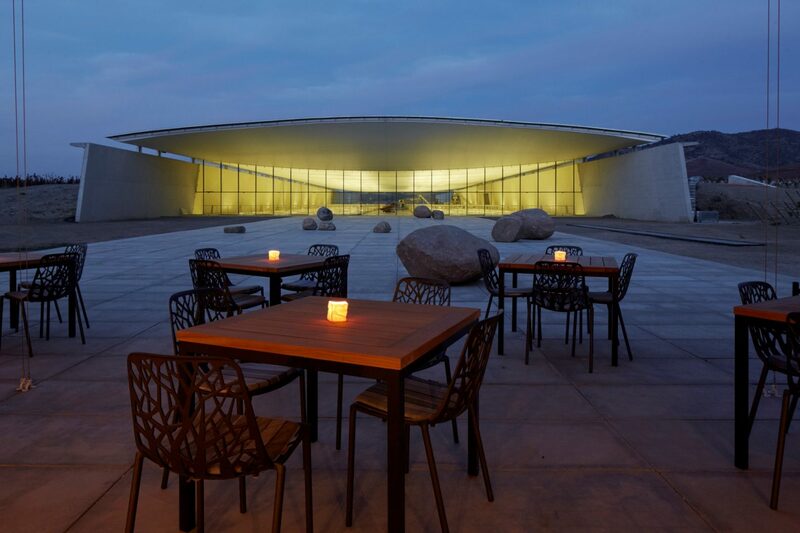 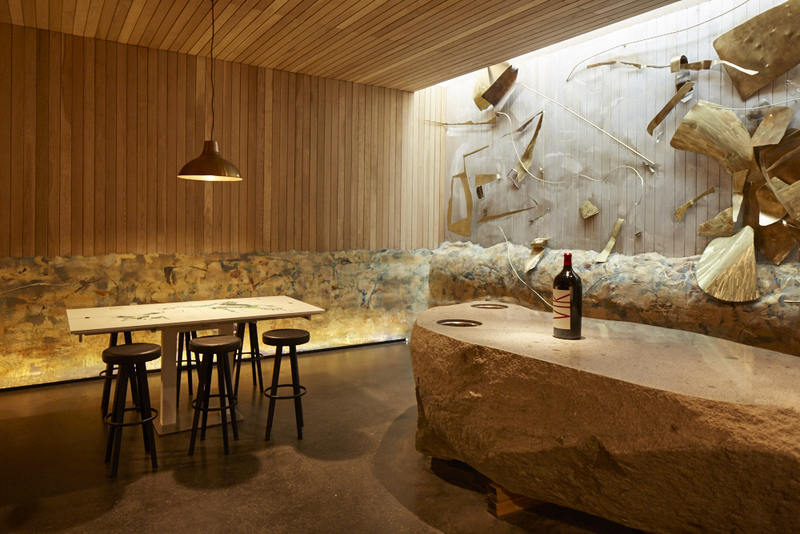 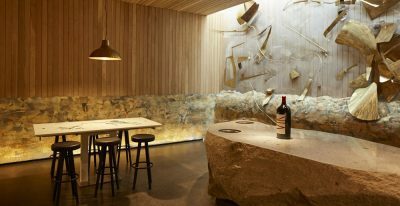 The restaurant offers cuisine focusing on typical Chilean dishes, made with fresh local produce and specially prepared to complement the wine list. 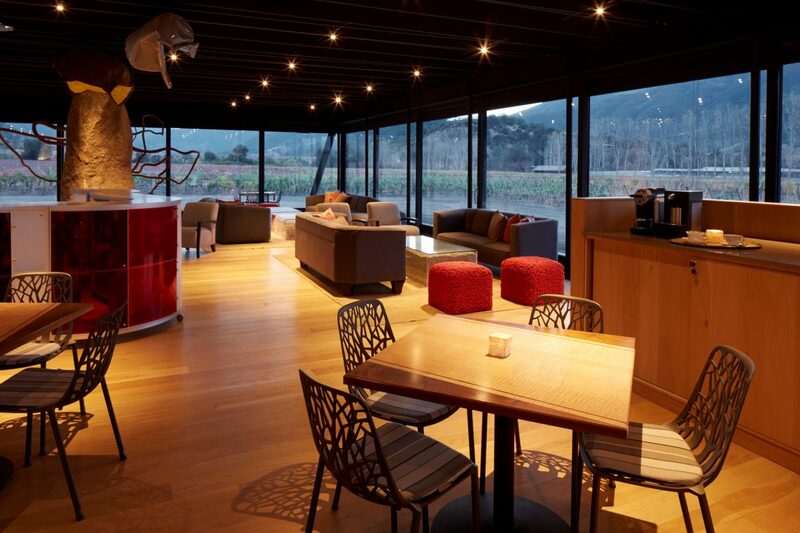 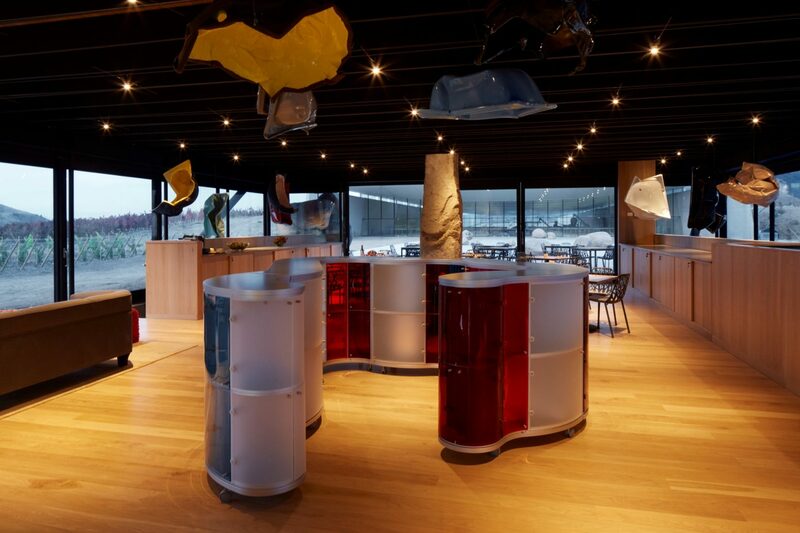 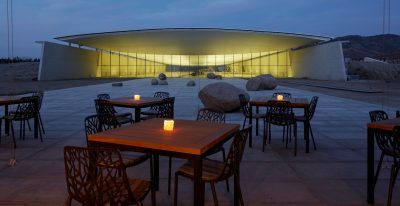 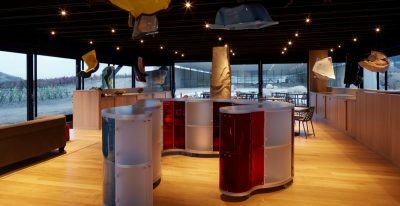 They can also arrange barbecues in the surrounding forest, with panoramic views out over the breathtaking landscape.